May 1939. 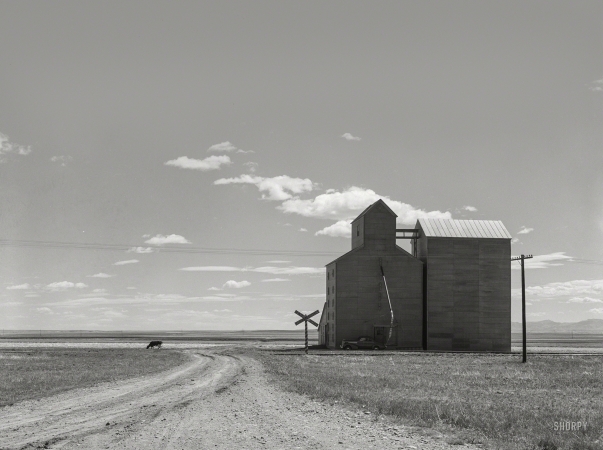 "Grain elevators on Henry Sheffels' 6,000-acre wheat ranch. Cascade County, Montana."